One gets the feeling after watching Lifechanger that filmmaker Justin McConnell has a great movie in him one day when he gets a bigger budget. However, Lifechanger is not that great movie with an uneven screenplay that begs for more exciting characters. 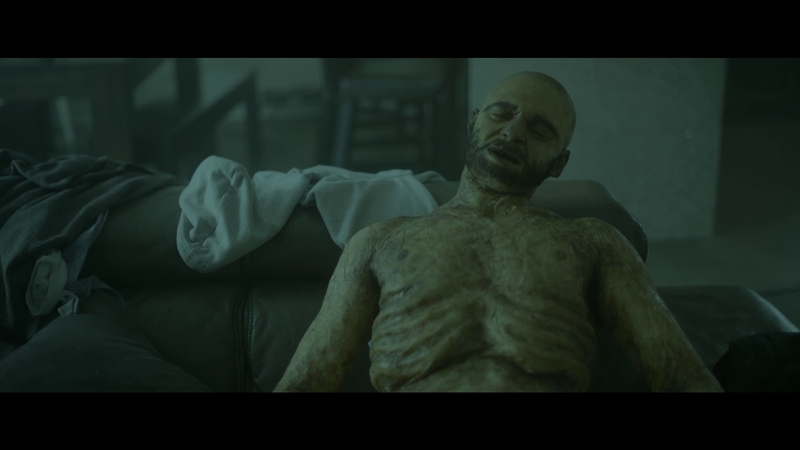 The well-crafted Canadian indie production received positive word-of-mouth on the horror festival circuit with strong acting performances and its unique exploration of body horror ala David Cronenberg. An odd hybrid crossing different genres, Lifechanger is really an introspective character piece about a man cursed with a terrible condition. Think psychological terror and pathological loneliness brought on by something the main character has little control over. The indie horror thriller is the curious tale of a shapeshifter, Drew, that must assume new identities all the time, in the process killing the people he copies. Lately the transformations have been shorter in length, forcing Drew to take new victims quickly. It’s certainly an intriguing premise, even if the execution is lacking a bit round the edges in Lifechanger. Constructing a movie around a character that changes bodies, and hence actors, every ten minutes makes for rough going in the beginning. Handling both writing and directorial duties, Justin McConnell makes it work but the storytelling bogs down with an unexciting turn towards romantic attachment. Complicating things is Drew’s growing romantic interest in Julia (Lora Burke). The shapeshifter repeatedly crosses paths with Julia in various bodies, hoping to connect with her. Julia is completely unaware of Drew or his abilities. Isolated from humanity due to his shapeshifting, Drew wants to feel love to predictably disastrous results. Lifechanger is told from Drew’s perspective using his internal monologues for long stretches. It’s the one creative decision in the movie that should have been altered. There are good reasons why filmmakers avoid them and they all too often become boring exposition dumps in Lifechanger. There is certainly a lot to like about the movie if you tolerate its quirks. Clearly marketed as a horror film, it’s closer to a story that might have played on the Outer Limits if serial killers were involved. The movie straddles genres, though the few practical effects are effectively surreal and creepy. There’s a great moment of Cronenberg-esque body horror which comes out of nowhere. 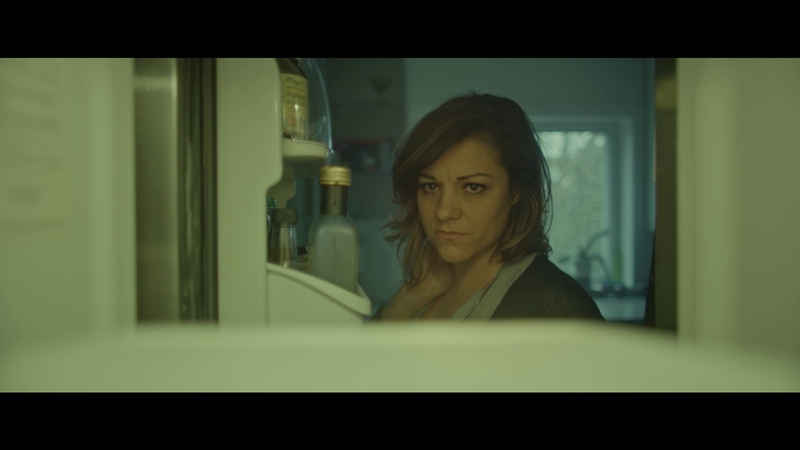 Lifechanger won’t change your life as a horror movie fan, even ironically. 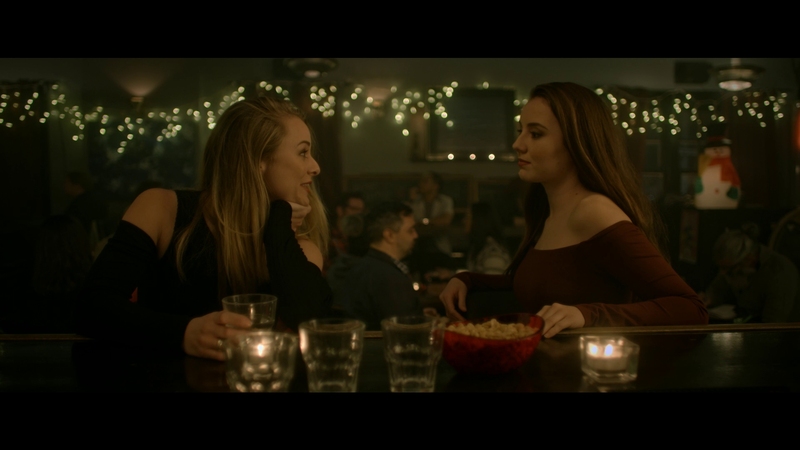 But the indie production has a talented cast with excellent production values, giving some shape to director Justin McConnell’s storytelling. This is the first movie I’ve reviewed, or even watched, from Raven Banner Releasing and Uncork’D Entertainment. These types of small indie horror labels often produce Blu-ray presentations of questionable value, but Lifechanger is a clear exception. Lifechanger’s excellent 2.39:1 presentation looks great for indie horror. 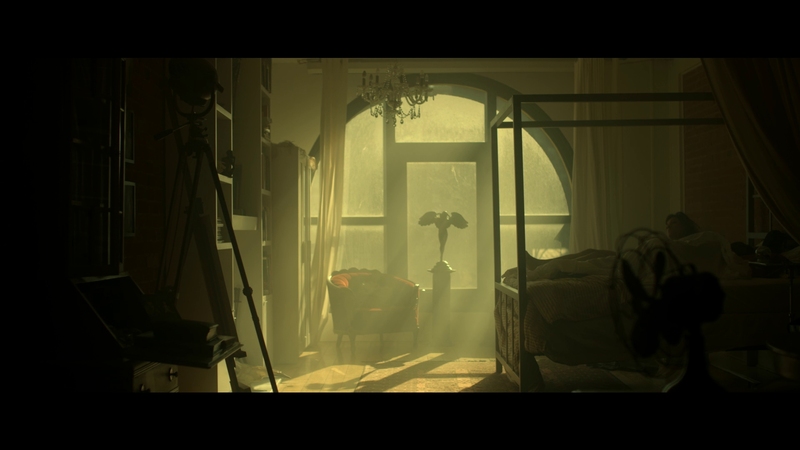 Its clean digital cinematography, filmed using RED cameras, offers outstanding definition and decent clarity. The 1080P video has crisp detail in close-ups with real focus. The transfer shows no obvious signs of filtering or ringing. Small issues in the picture quality includes a few scenes with erratic contrast and minor banding. The 83-minute main feature is encoded in adequate AVC on a BD-25. The digital color timing is uneven, occasionally lacking proper color balance. Some material trends toward a darker teal palette. Interiors have less dramatic definition and detail. The 5.1 DTS-HD MA soundtrack features a strong musical score by composer Scott Motley. Lifechanger has compelling sound design and real moments of immersion to its credit. It nicely incorporates bass action and definite channel separation for certain scenes. The surround mix’s dialogue may be too quiet in a couple of scenes, necessitating some volume adjustments to catch everything. Many indie distributors skip lossless sound for their releases, so its inclusion here is welcome. Optional English SDH, French and Spanish subtitles play in an off-white font. Secondary 5.1 and 2.0 Dolby Digital options for audio are included. The indie horror production receives a Blu-ray and DVD combo pack. Two separate commentaries and a feature-length behind-the-scenes documentary are the highlights. Hollywood movies rarely receive this kind of attention anymore for special features, much less a micro-budgeted horror movie. Budding filmmakers should watch the documentary for insight into the process of making an effective indie movie. Commentary With Director/Writer Justin McConnell – A fine solo discussion that delves into the director’s thought process making the film. You will glean more information from this solo commentary than the more jovial group commentary. Commentary With Actors Lora Burke, Jack Foley, Sam James White, Steve Kasan, and writer/director Justin McConnell – An enthusiastic group commentary by the cast that relates many anecdotes about the production and their experiences making the film. Enjoyable, if a little trite. Change and Adapt: The Making of Lifechanger (104:15 in HD) – An in-depth behind-the-scenes documentary that delves into each day of the movie’s shooting schedule. Featuring cast and crew with footage from the set and interviews, it’s almost an exhaustive look into making Lifechanger. See how problems on set were managed, cast interacting with crew members, and more. This doc covers everything from script to screen in the movie’s creation. Deleted Scenes with optional director’s commentary (25:01 in HD) – Justin McConnell introduces this batch of many deleted scenes. The movie’s original assembly cut ran nearly two hours and most deleted scenes were cut for time or pacing issues. Original score by Sean Motley – Motley’s engaging score is included as an MP3 file on the BD-ROM and also as a web link. Full disclosure: This Blu-ray was provided to us for review by the distributor. This has not affected the editorial process. For information on how we handle all review material, please visit our about us page to learn more. A strange body-changing thriller that strays from horror for mixed results. The 15 unaltered images below represent the Blu-ray. For an additional 15 Lifechanger screenshots, early access to all screens (plus the 20,000+ already in our library), 75+ exclusive 4K UHD reviews, and more, support us on Patreon.